Arthritis is a term that refers to over 100 types of the condition that affect the body’s joints, causing symptoms like pain, swelling, inflammation, and joint deterioration. Over time, arthritis causes pain, weakness, and reduced range of motion. Arthritis can affect one or two joints or multiple joints in the body. The hips are a common area afflicted with arthritis. There are a variety of ways doctors treat arthritis, including pain relievers, physical therapy, injections, and regenerative medicine techniques. However, when arthritis significantly wears a joint down, these treatment methods can sometimes fail to solve the problem – and joint replacement may be necessary. One of the more common of these surgeries is an anterior hip replacement. 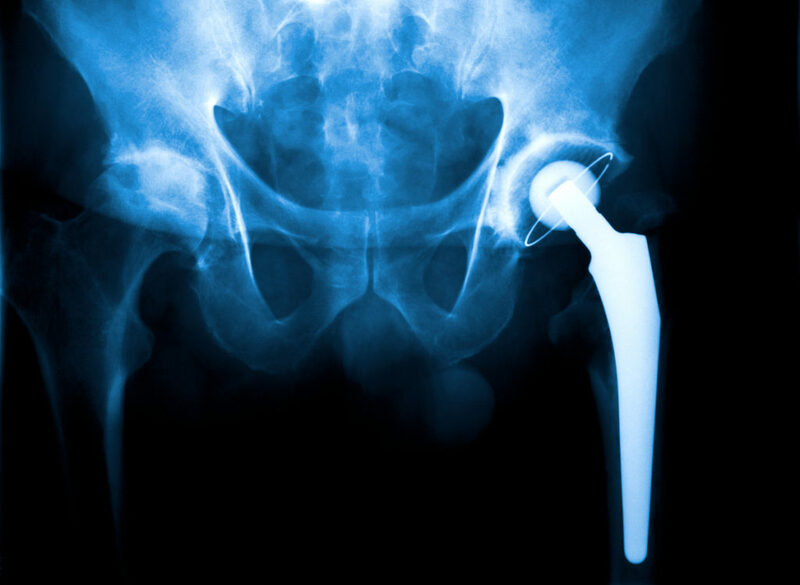 A hip replacement involves surgically replacing damaged portions of the hip joint with artificial components because the existing structure no longer functions as it should. An anterior hip replacement is a minimally invasive approach to hip replacement surgery that involves using smaller incisions from in front of the hip. A traditional “open” hip replacement surgery involves making a significant incision to open up the hip joint area to perform the surgery. An anterior hip replacement damages less skin, sparing healthy tissue in the area. This can reduce post-surgical pain, scarring, and the risk of infection. Additional benefits of an anterior hip replacement include a faster recovery, a shorter hospital stay, and less tissue trauma. An anterior hip replacement can be a viable treatment solution for individuals with severe arthritis. If arthritis affects a person’s hip joint and has caused significant deterioration of the joint, an anterior hip replacement can help fix the joint so it can function as it should. The hip is an essential part of the body and severe arthritis can essentially immobilize a person. You may find your lifestyle completely changed because you are unable to take part in the activities you love because of the pain. For some people, severe arthritis may even prevent them from doing daily chores around the house, traveling outside to do groceries, or even make getting to work a big hassle every morning. If you feel that your quality of life has greatly reduced because of severe arthritis pain in the hip, an anterior hip replacement may be able to fix the joint so you can go back to your daily routine and enjoy life. An anterior hip replacement can help individuals with severe arthritis in the hip fix the deterioration that arthritis has caused at the joint. This is as close to a permanent solution as you can get. Unlike pain relievers or physical therapy, an anterior hip replacement attempts to fix the actual problem in the hip rather than simply treating the symptoms. If are interested in learning about anterior hip replacement or other treatments available for arthritis, the physicians at Orthopaedic Associates of Central Maryland would love to meet with you. They have a wealth of knowledge and experience diagnosing and treating a variety of orthopedic conditions like osteoarthritis. Call (410) 644-1880 to make an appointment today.